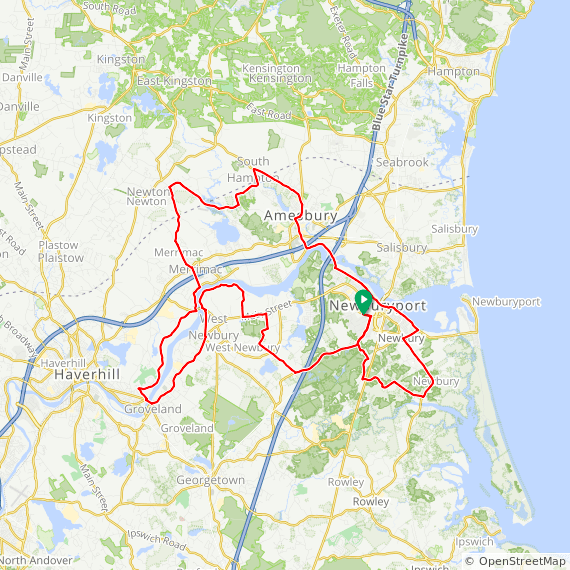 Description: From beautiful Newburyport, we’ll wind through some lovely back roads into Southern New Hampshire. 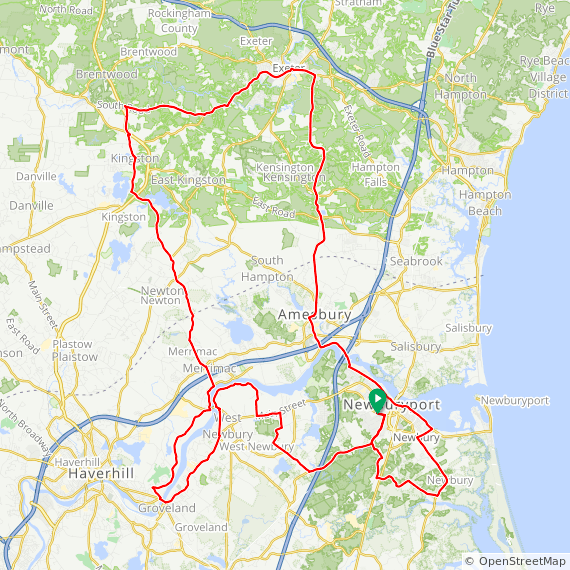 Both rides will follow stretches of quiet roads along the Merrimack River with the longer ride heading as far north as Exeter, where you can stop for lunch. 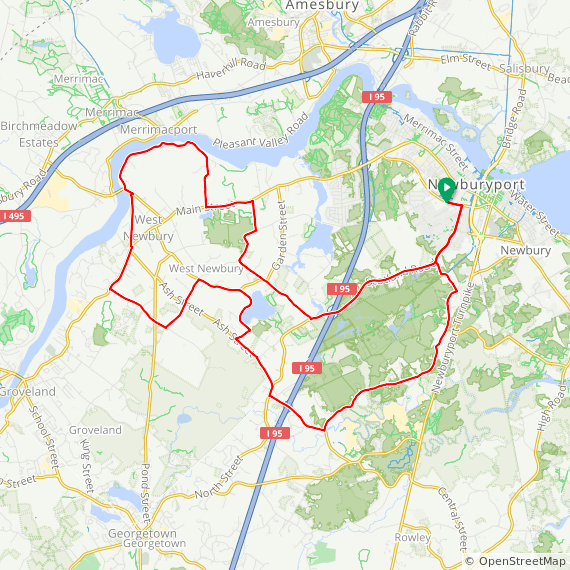 Terrain: Mostly gentle rolling, no real challenging hills. Download 2015 cue sheets, maps and GPS files below. Note: PDF cue sheets are saved in your downloads folder.